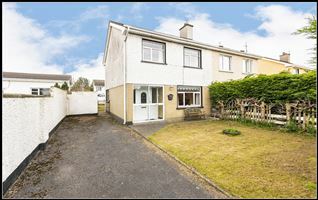 EMG Property Consultants are an estate agent situated on the main street in Balbriggan within North County Dublin. EMG Property Consultants provide a range of services to deal with all your property related needs including; residential sales and lettings, commercial sales and lettings. We also provide a full range of professional services to our clients including, residential property management, commercial & residential property valuations including probate along with providing landlord and tenant advice. EMG Property Consultants differ themselves from other agents by dealing with all property issues in a professional and confidential approach to all clients. We manage the excellent service we provide to our clients by understanding their needs, communicate in a very professional and confidential approach and have a strong work ethic towards their property needs. With EMG Property Consultants all client property issues are dealt with at senior level providing comprehensive and experienced professional advice at all times. We believe it is essential that we communicate effectively and regularly with our clients, keeping them informed with progress, discussing any issues that arise and providing constructive feedback.